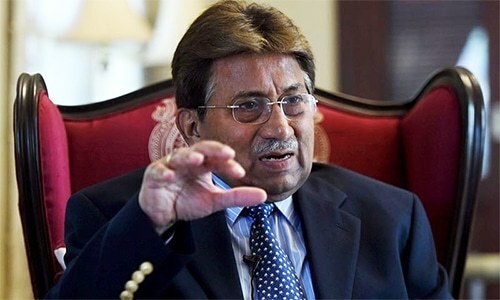 ISLAMABAD: After over two-and-a-half years, the trial of former military ruler retired Gen Pervez Musharraf in the high treason case has reached a dead end, as the special court linked its continuity with the presence of the accused. According to Senator Farhatullah Babar, the treason case went haywire the day Gen Musharraf’s motorcade, instead of coming to the special court in Islamabad, suddenly turned towards Rawalpindi where he was given protection by a government hospital, and the court had to watch the development. The former military ruler was charged with the high treason in December 2013. He was indicted in the case on March 31, 2014. The trial remained suspended after the special court in November 2014 ordered a reinvestigation into the case to identify any abettors in the imposition of an emergency in November 2007, specifically the role of the then law minister, Zahid Hamid, who is enjoying the same portfolio in the incumbent government, former chief justice of Pakistan Justice Abdul Hameed Dogar and ex-prime minister Shaukat Aziz. The trial in the case resumed earlier this year on the directions of the Supreme Court. The apex court, on the other hand, allowed Gen Musharraf to get cardiac treatment abroad and subsequently he left for Dubai in March this year. 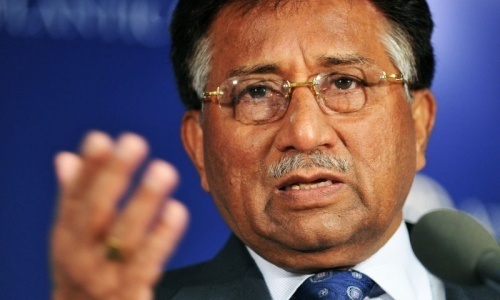 During the Tuesday proceedings, the special court rejected an option to resume the trial even in the absence of the former military dictator besides dismissing the suggestion of the prosecution to testify Gen Musharraf through a video link. The court also discarded the option of submitting the statement of the accused through any other mean. It may be mentioned that the proceedings against Prime Minister Nawaz Sharif in the accountability court also remained stagnant after the court adjourned the proceedings sine die when he was in an exile. However, after his return, Mr Sharif contested the cases and got himself exonerated. Advocate Sheikh argued that he had completed submission of evidence in 2014 and the prosecution was not responsible for obtaining the statement of the accused as it was the court’s responsibility. At this, Justice Yawar Ali of the Lahore High Court (LHC) remarked that the secretary interior, who was also the complainant against Gen Musharraf in the treason case, had removed his name from the ECL. Seems Pakistanis do not know a good thing when it in front of them, Musharrafs rule will be looked back upon as a golden time, he cared just like Raheel does about the public... the only leader till now whom did not commit corruption. No need for the case to continue. First the case of Hussain Haqqani should be decided. He is also a fugitive playing an anti Pakistan role. Musharraf was a better ruler than many. We are indebted to General Saheb! Please leave him alone and stop these false allegations against him. He will not return as long as PMN-L is in power.